While it is not necessary to tell engineers what finned tubes are, or that their use is mandatory in cases of gas-liquid heat exchange where the film coefficient ratio is above 2, it is essential to tell the engineers that FINNED TUBES are backed by not only engineering excellence of manufacture, but also by our zealously guarded reputation for the finest quality of all our products. LONGITUDINALLY FINNED TUBES: We have indigenous developed automatic welding machines for giving low distortion longitudinally welded Finned Tubes used in low capacity Boilers. T-FINS: Helical Straight strip wound on the tube are mechanically secured. 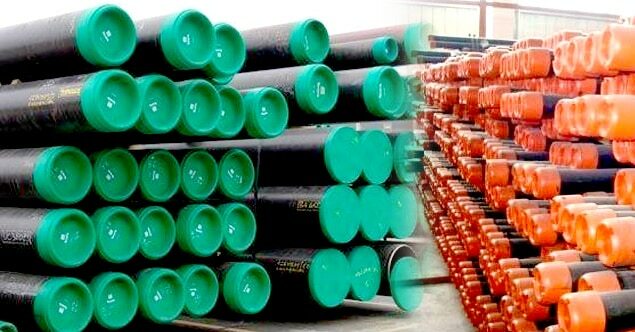 The tubes are required grade of steel, the fins are aluminum for maximum tube-wall temperature of 121 deg C (250 deg F) and mild service conditions. H- FINS: H-economizer two rectangular fin, similar to a square, its edge length for the fluorescent tubes of 2-fold,an expansion of the heating surface. H-economizer flash resistance welding processes used, the welding seam after the high rate of fusion, weld tensile strength, and has good thermal conductivity. 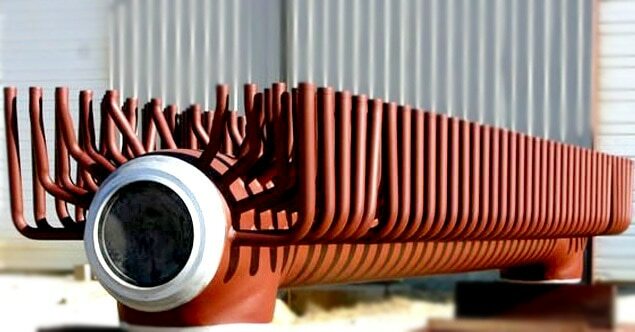 H-economizer can also manufacture dual tube "double H" type fin tubes, its rigid structure, and can be applied to a longer tube row occasions. Performance characteristics: Excellent anti-wear performance, Less fouling, Compact space, Welded joints less, Stability. L-FINS: Helical strip bent to L-shape are mechanically secured to the tube with the outer surface of of the tube totally enclosed with fins, for full fin contact and protection of tube from chemical action of the gas for maximum tube-wall temperature of 177 deg C (350 deg F) and moderate service conditions. G-FINS: Helical straight strip wound into pre-cut grooves on the outer wall of the tube, fin and groove lips mechanically closed for maximum tube-wall temperature of 371 deg C (700 deg F) and extreme working conditions. Hi, I am interested in "Finned Tubes" and need pricing regarding same. Please contact me.